Probiotics are the live bacteria that help in keeping your digestive system healthy by controlling the growth of harmful bacteria, they are good bacteria where as prebiotics are carbohydrates that cannot be digested by the human body. 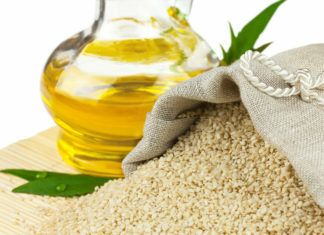 Therefore they are also called as Functional foods. Below we will find the differences between Prebiotics and Probiotics with supplements, its benefits in different age group, natural sources of Prebiotics and Probiotic. Prebiotic is a general term refers to a chemicals that induced the growth and activity of microorganism that contribute to be well being of their host. Prebiotic is a non digestible food ingredient that promotes the growth of beneficial microorganism in the intestine.The Prebiotic are plant fiber that nourishes the growth of good bacteria already in the large bowel or colon. They help your good bacteria grow, enhances the ratio of good-to-bad bacteria. Correlation of your health and overall well being, from your stomach to your brain will depend on this ratio. Probiotics are live, goodor helpful bacteria and yeasts that are good for your health, specially your digestive system, because they help your gut healthy. These live bacteria are present in yogurt, and other dairy products and pills . Doctors often prescribe Probiotics to such patients which are on antibiotics in an attempt to combat gastrointestinal side effects of the medication. 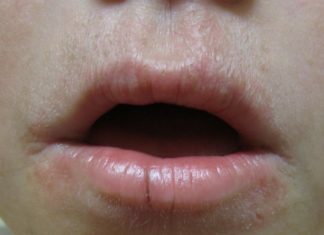 Prevent and treat vaginal yeast infections and urinary tract infections(UTI). Prebiotics are a special form of dietary fiber that acts as a fertilizer for the good bacteria in your gut. Probiotics are live bacteria in yogurt, dairy products and pills. PREBIOTIC powders are not affected by heat, cold, acid or time. PROBIOTIC bacteria are affected by heat, stomach acid or simply die with time, so they are kept alive. PREBIOTICS may be helpful for several chronic digestive disorders or inflammatory bowel disease. Certain PROBIOTIC species have been shown to be helpful for childhood diarrhea, irritable bowel disease and for recurrence of certain bowel infections. Prebiotics such as fructooligosaccharides (FOS) and galacto‐oligosaccharides (GOS) are naturally found in many foods. Probiotics such as Lactobacillus acidophilus and bifidibacterium lactis, found in yogurt. Prebiotics and Probiotics may be helpful in this age group as many researchers found that prebiotics may help in reducing the atopic eczema.In, infants formula are also enhanced with Prebiotic and Probiotics. Infants and children who ate probiotics food mainly yogurt while having diarrhea from acute viral gastroenteritis experienced a shorter duration of Diarrhea.There are some evidence which prove probiotics may help in preventing narcotizing enterocolitis or death of intestinal tissue in infants born.Prebiotic and Probiotic also help in preventing food allergy.Supplements of Probiotic enhances systemic cellular immune response.Breast milk naturally contains Prebiotics that help beneficial bacteria to grow. 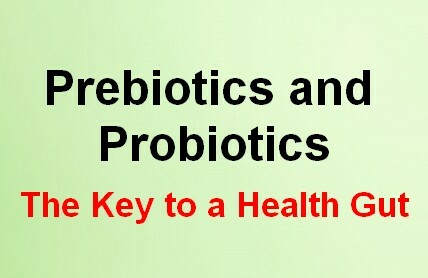 Prebiotics and Probiotics shown their management role in the Gastrointestinal disorders in adults.A proper balance of microbial or bacteria is required to maintain healthy metabolism and immune function. Disturbing this balance of bacteria can have negative effects on health resulting in elevated inflammation and infection, that are contributory factors in diabetes and cancer. Now a days lifestyle has been changed People are living sedentary lifestyle without any efforts. so as the age pass with this sedentary lifestyle their body are more prone to have GI disorders.In such a condition Prebiotics and Probiotics are helpful in revealing from such conditions like Irritable bowel syndrome , diarrhea. Probiotics and prebiotics from both natural food sources and supplements are considered safe for healthy pregnant women and lactating women. Malabsorption of carbohydrates, lipids, amino acids, minerals, and vitamins is present in elderly people. Elderly people are also at risk for malnutrition due to poor dentition or decaying teeth and dysphagia that may interfere with eating, loss of smell or taste sensations, chronic illnesses that interfere with digestion or absorption of food, and increased nutritional requirements. 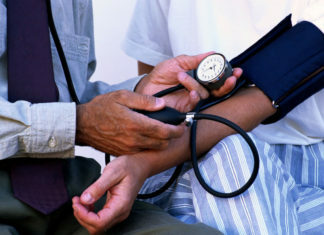 Other factors such as medication side effects; depression; social isolation; functional, visual, and cognitive impairment; and economic barriers to obtaining high-quality foods all can lead to malnutrition.The ability of the intestine to adapt may be impaired in elderly people and this may lead to further malnutrition. With increasing age, a number of physiological changes take place which are reflected in immune and bowel function .There is a growing awareness that the microbial balance in the colon may become increasingly perturbed with aging and therefore hasten the onset of certain diseases.Aging people must took Prebiotic and Probiotic daily which may be helpful in improving the intestinal microbiota composition and mucosal functions. Having a combination of prebiotic and probiotic rich foods and topping up with a supplement, if needed can help our bodies in maintaining a healthy balance of good bacteria and support health and well being. They may be especially beneficial for active growing bodies to support their developing digestive and immune systems and to help in relieving gut or GI troubles such as diarrhea.